DISCLAIMER:These thoughts and opinions are strictly my own. I have not accepted any items in exchange for a favorable opinion or comment. I will tell you straight up about what I like or dislike and why. 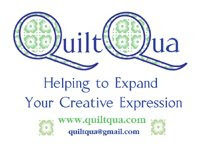 If you have a different experience or opinion, please share in the comments, (but lets keep it civil) or email me directly at quiltnotions@gmail.com I would be happy to hear your point of view. We all learn.... different things different ways. I am also firm believer in using what you have unless a significant improvement has been made to the tried and true. When I find items that make it easier or more fun to CREATE I will certainly share those with you!!! Click any heading below to go directly to the article and page.